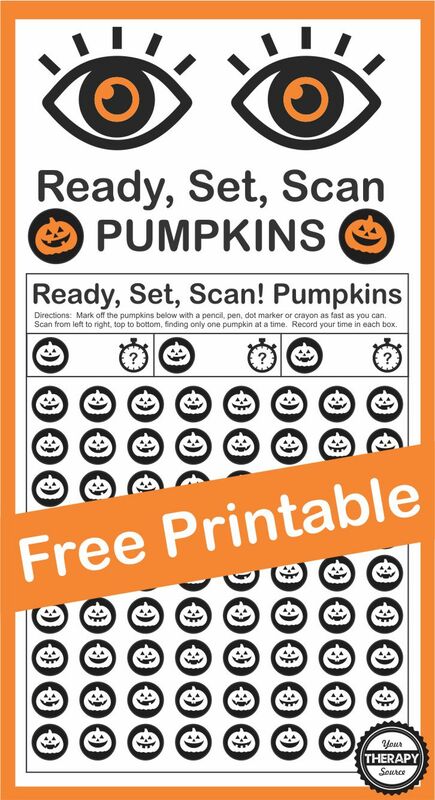 Here is a fun pumpkin visual discrimination and scanning activity. Print out the black and white page (get access to the FREE download at the bottom of the post). Grab a timer and 3 different colored dot markers (or any colored markers). 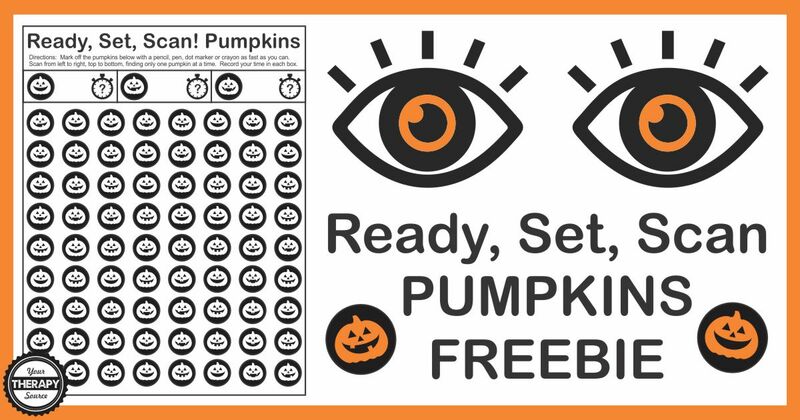 On GO, students have to use their visual discrimination, visual scanning, visual tracking and visual motor skills to find one pumpkin at a time while they scan from left to right and top to bottom. Be careful not to mark the wrong ones! Some of the pumpkins look very similar. 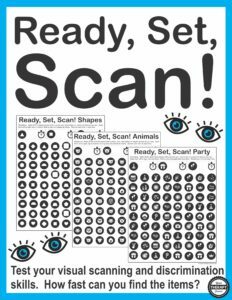 Want more Ready, Set, Scan activities? Check out the complete Ready, Set, Scan digital download. 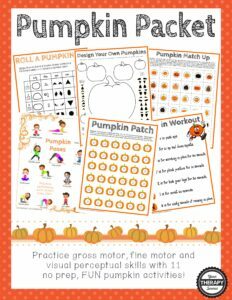 This Pumpkin Packet includes 11 no-prep, FUN activities to get children practicing fine motor, gross motor, and visual perceptual skills. The digital download is great for brain breaks, indoor recess, classroom party and more! FIND OUT MORE INFORMATION. Sign up to receive our email newsletter to get access to the Ready Set Scan Pumpkin challenge. If you already subscribe, just enter your email and you will be redirected to the FREE download.